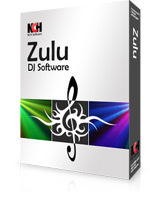 Zulu has powerful disc jockey features in an easy-to-use interface, making mixing your favorite tunes easy, so you can broadcast your music live while applying effects on the fly. 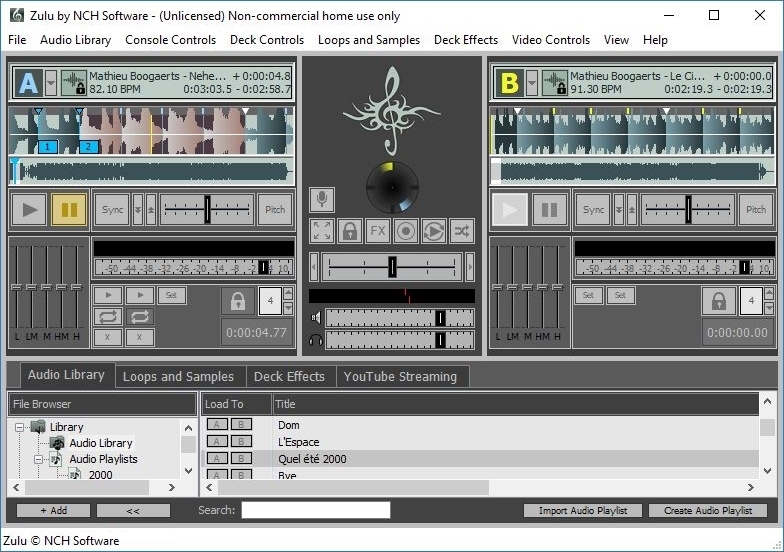 Each deck has its own individual controls, including a timeline of the loaded song with beats highlighted to help when synchronizing the two decks. Choose from multiple loop lengths and even add additional loop buttons for added flexibility. Each deck has its own individual effects that you can apply to the song on the fly. 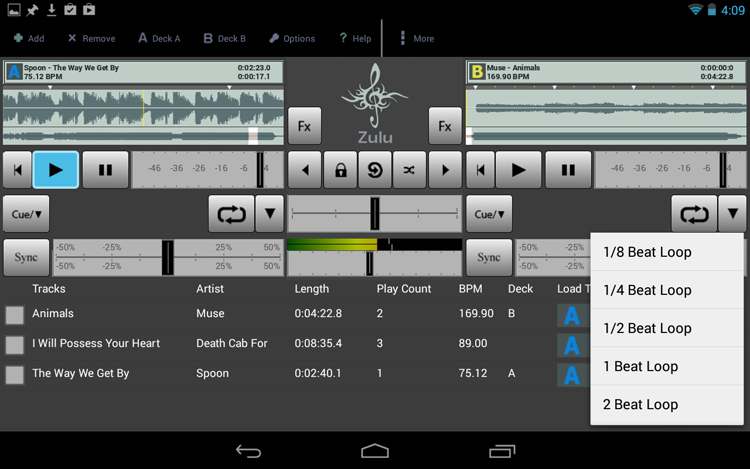 You can also apply effects globally to control the overall sound coming from both decks. 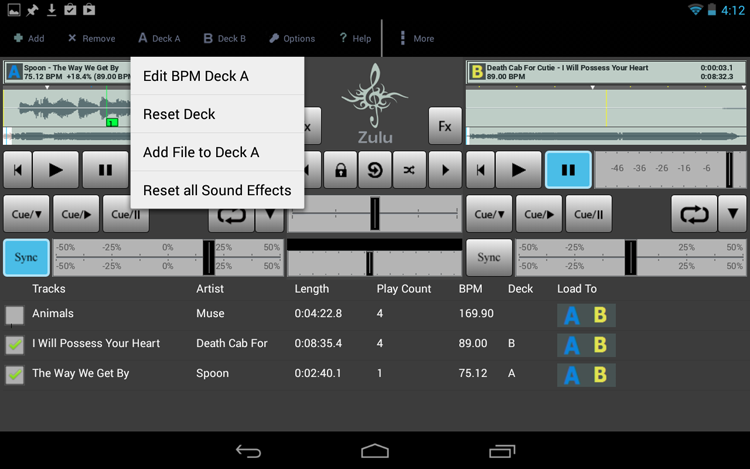 Below decks A and B, tabs let you view your playlist, loops and samples, effects, and other decks. 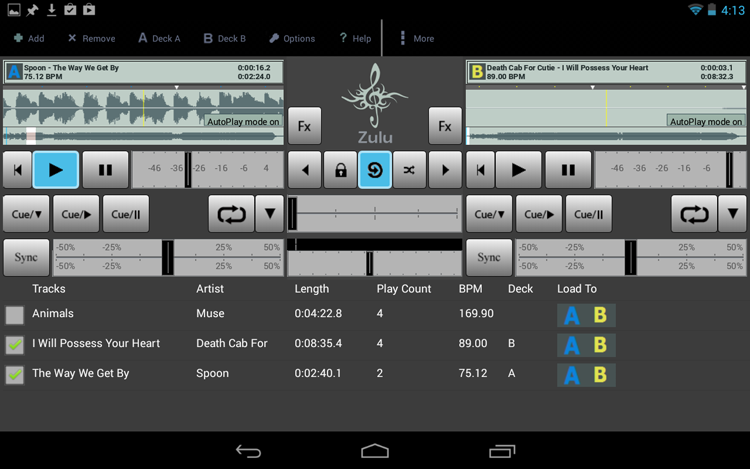 The playlist shows all of the music loaded into Zulu including the song titles, artists and other song details. 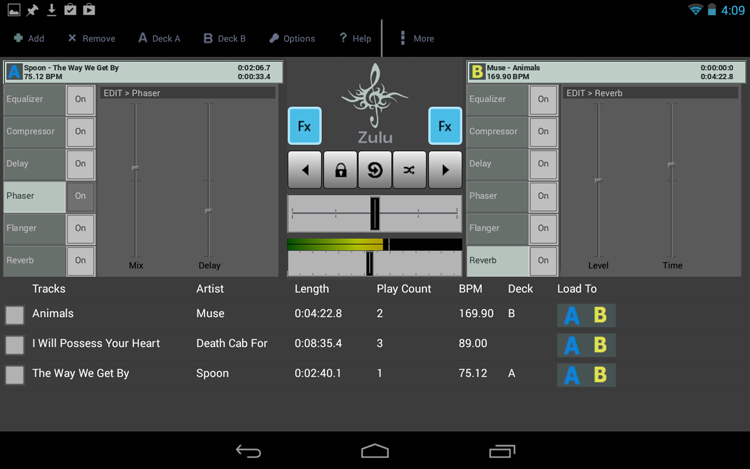 Songs can be easily loaded to a deck with hot keys or drag and drop onto the deck. 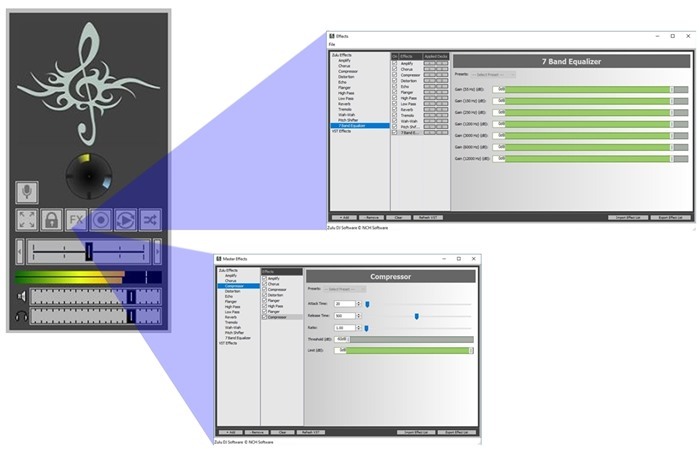 Load pre-recorded loops and samples to the sample bank. 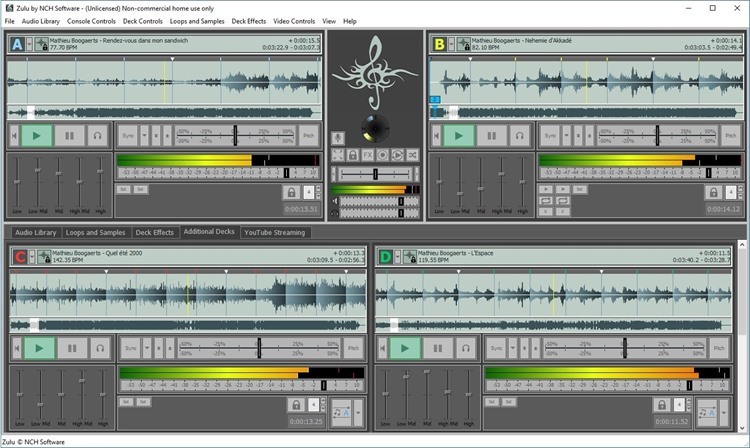 Individual sound clips can be looped and played over songs or by themselves to enhance your overall mix. Add and adjust a variety of effects and apply them to any or all decks. The decks tab displays decks C through F. You can also access these decks in another window through the top menu, by choosing View > Decks > Undock Decks Window. 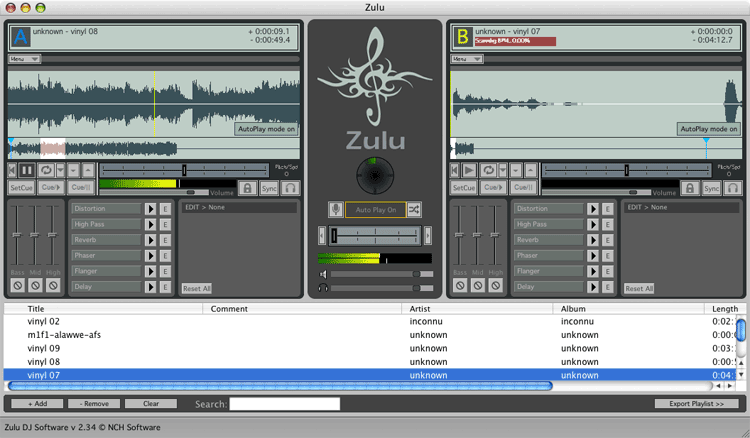 Zulu is a software program for experienced and novice DJs, and features cross-fading between two decks, the ability to preview a track through headphones before broadcasting live to the audience, and much more.